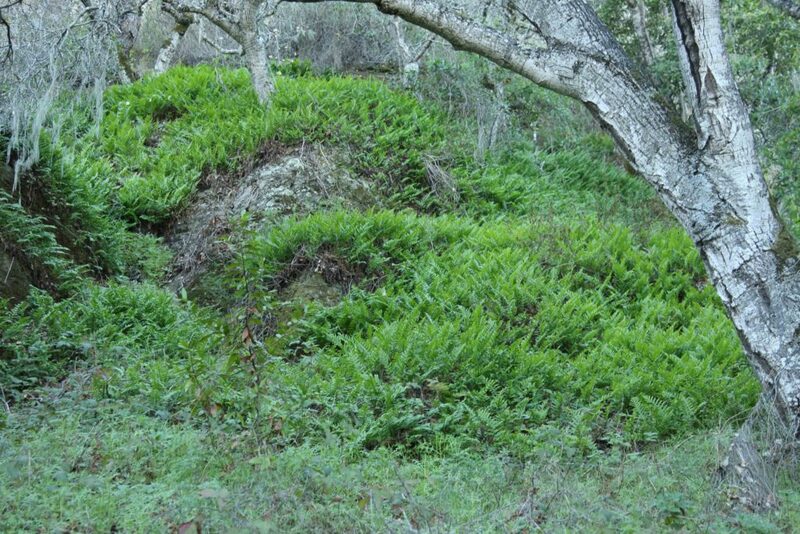 All ferns included here are native to California. 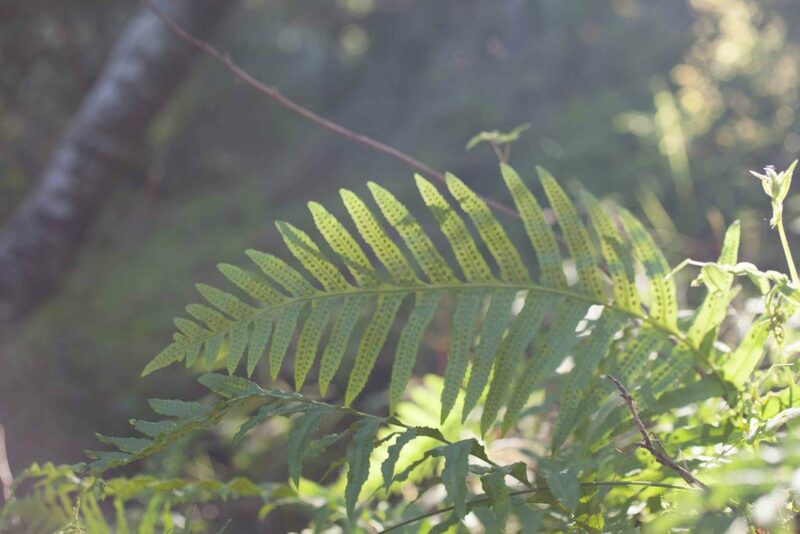 Polypodies are all deciduous ferns, appearing shortly after the winter rains begin and dying back in summer. 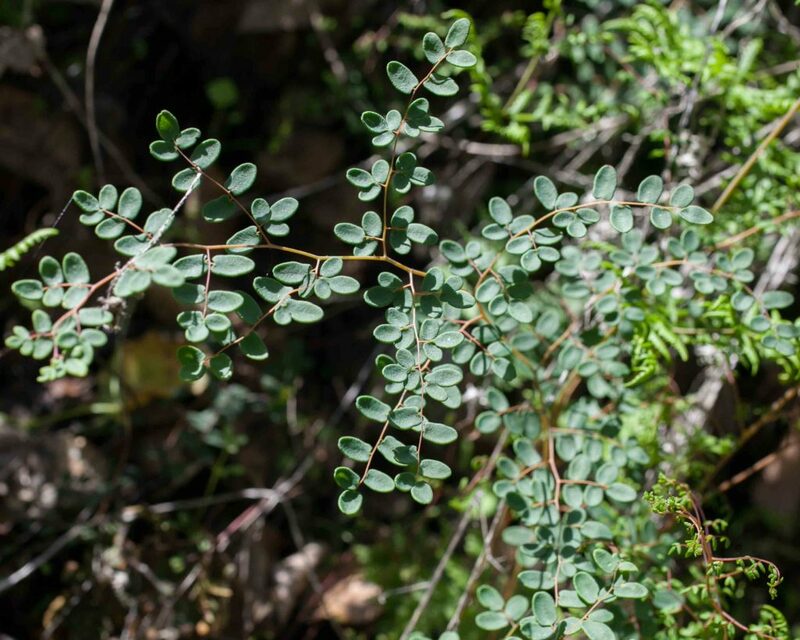 This species is very common in woodlands and on coastal bluffs and rocky ledges. 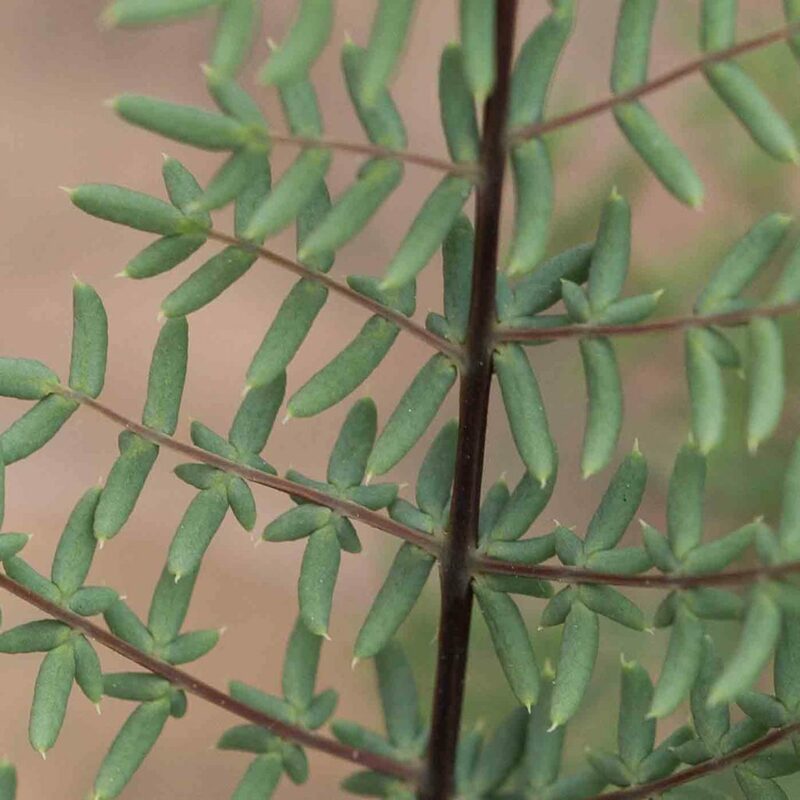 The fronds are triangular to ovate, often irregular in outline with the lowest 1–3 pinnae typically longer than the others. Tips are rounded to acute. Note the twin rows of sori, more or less sunken (apparent from bumps visible on the upper surface of the pinnae). 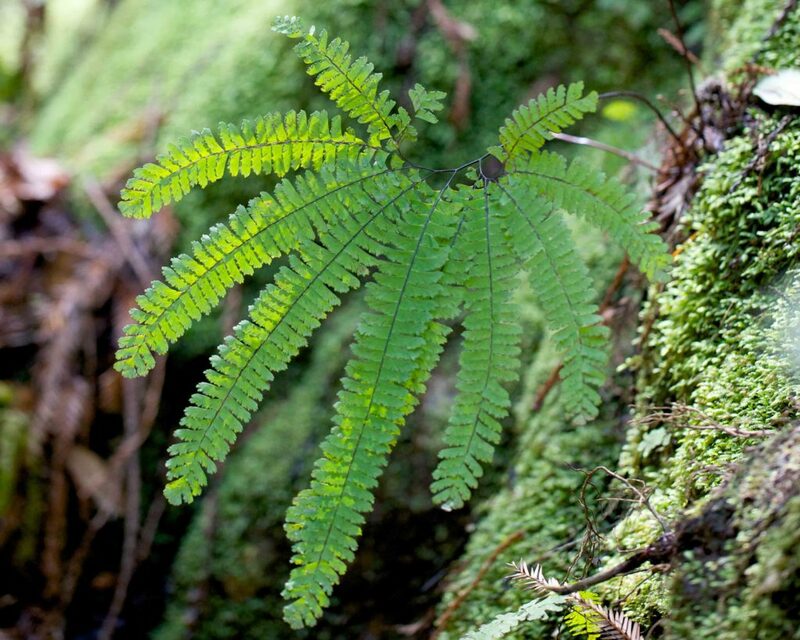 The veins are mostly net-like. 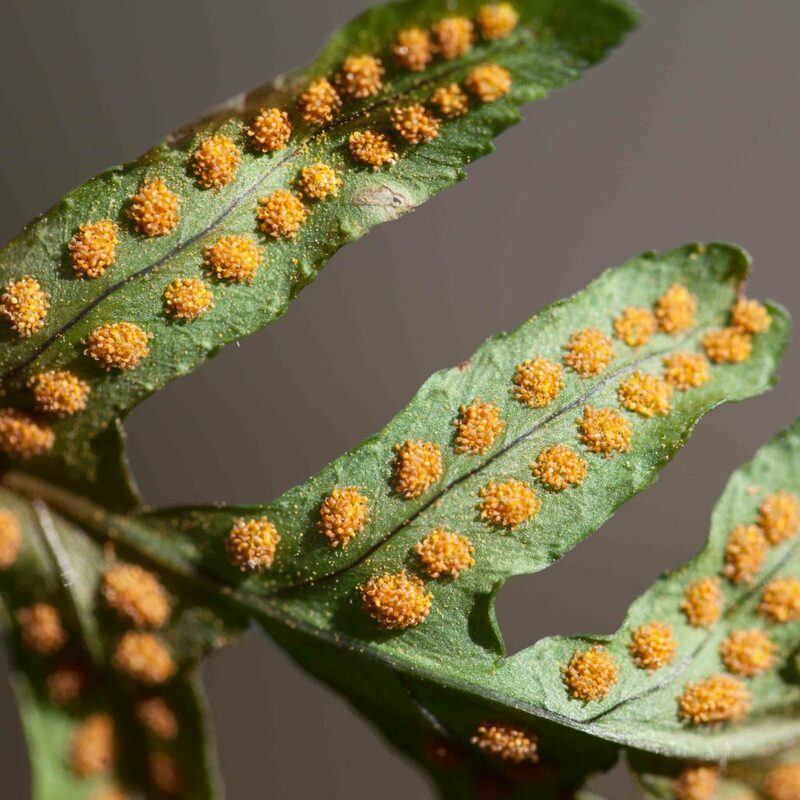 Note: Polypodies can be extremely difficult for the layman to distinguish. 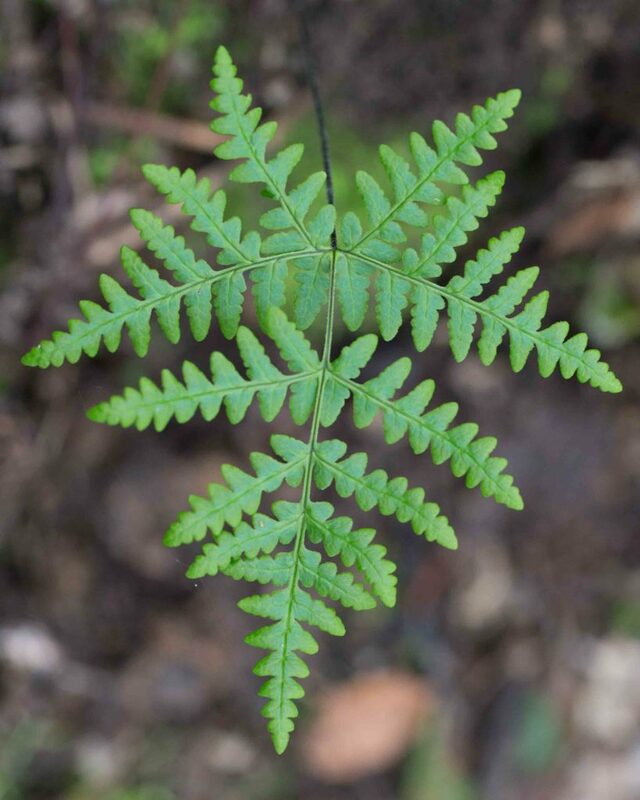 In particular, the difference between this polypody and Polypodium calirhiza which has the lowest 1–3 pinnae pairs generally shorter than those above and sori which are not sunken, is often not clear, especially since particular examples may exhibit characteristics of both species. 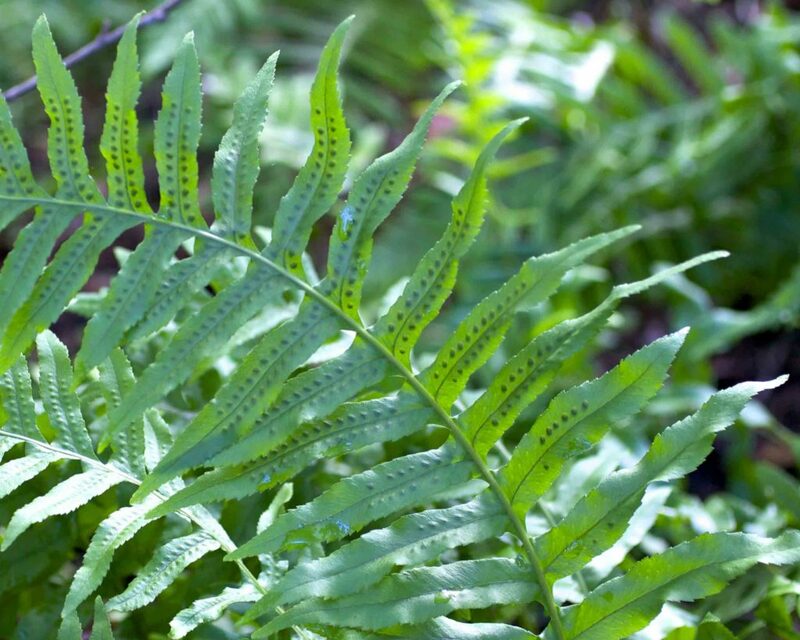 Polypodies are all deciduous ferns, appearing shortly after the winter rains begin and dying back in summer. 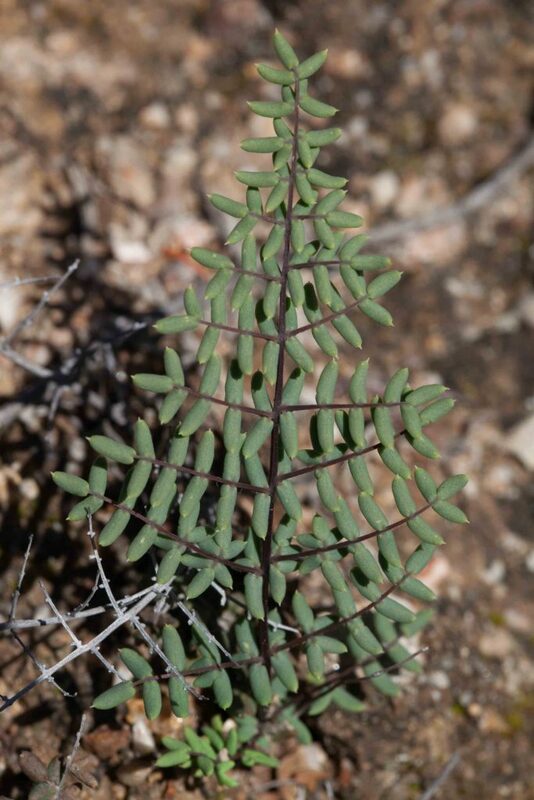 This species is similar to California Polypody (Polypodium californicum) except for the acute to acuminate tips of the pinnae. 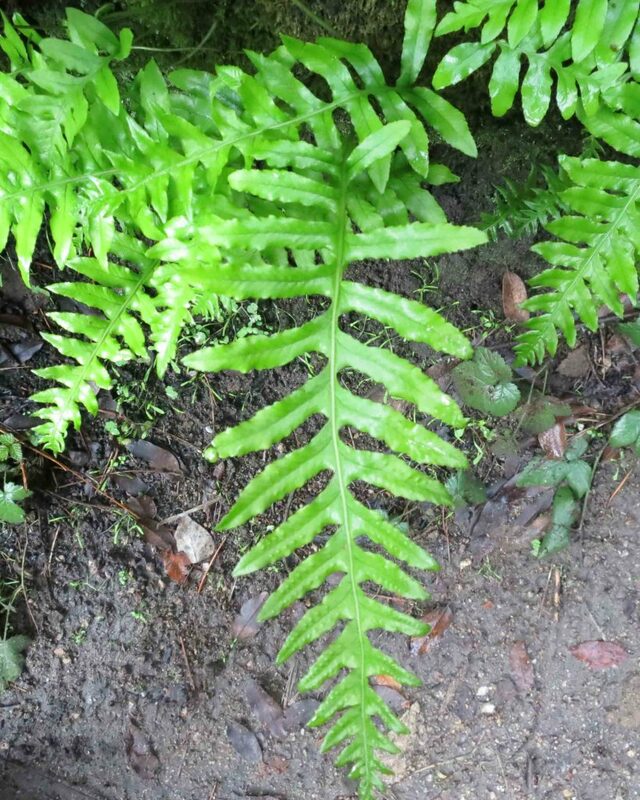 The fronds are lanceolate to lance-ovate, widest at or just below the middle. It has round, sunken sori. The veins are all free, i.e. not net-like. 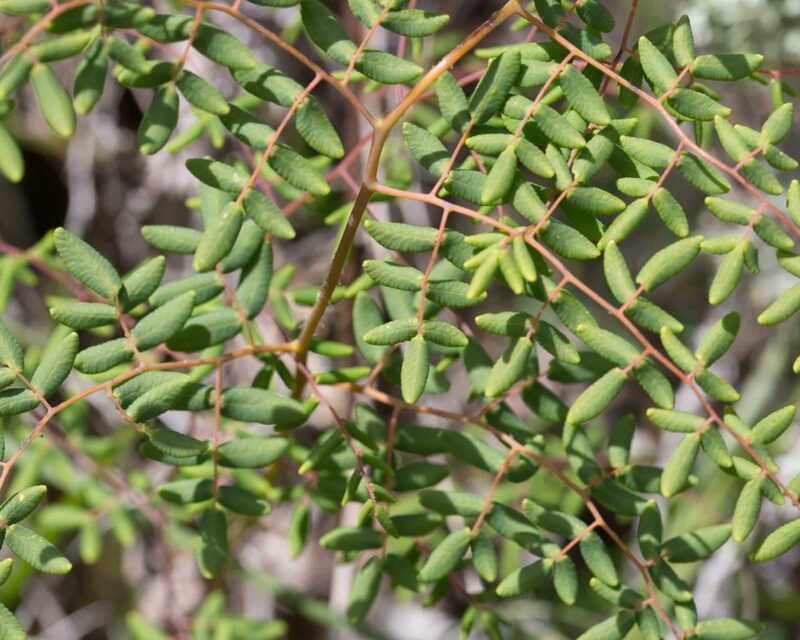 Its name derives from the licorice flavor of the rhizome. 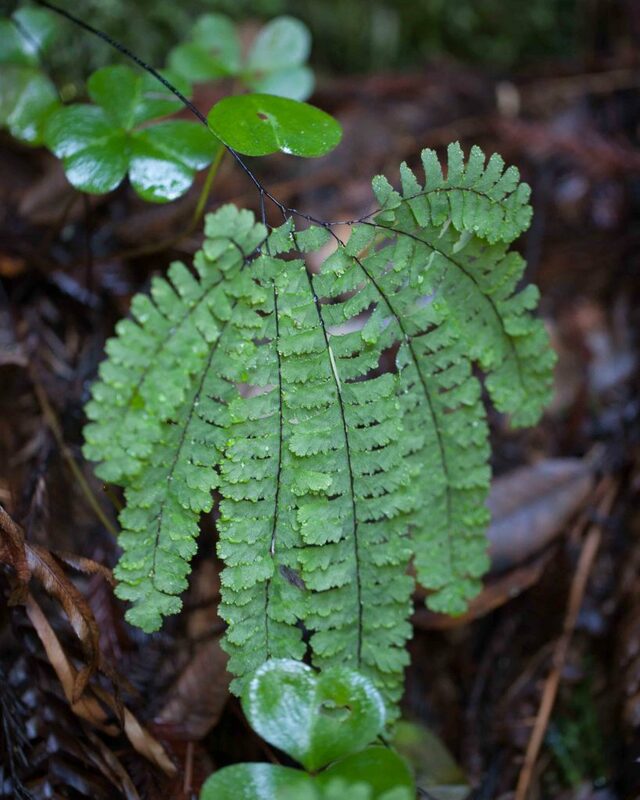 These are delicate moisture-loving ferns, found on shaded slopes and streamsides. 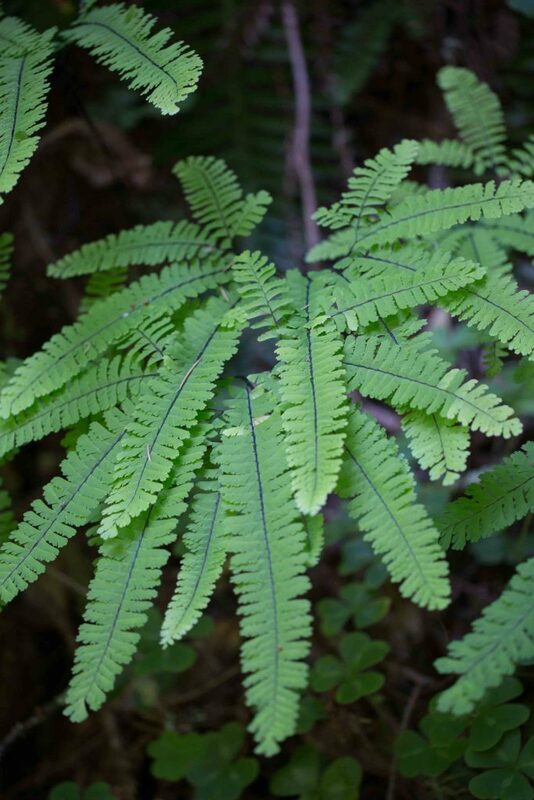 It is a particularly beautiful fern with the same black stems as the related California Maidenhair & Goldback Fern (Adiantum jordanii & Pentagramma triangularis). 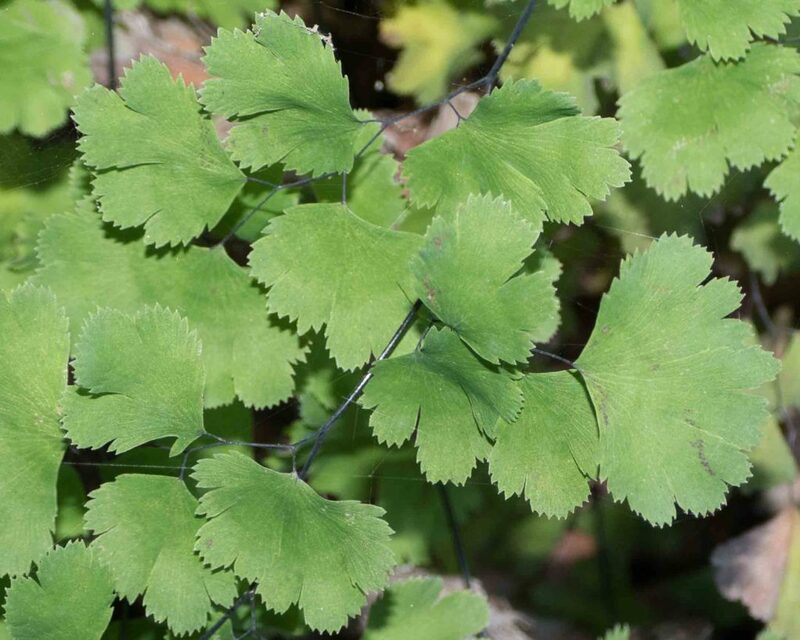 The drooping fronds are arranged palmately and then pinnately divided with delicate pinnules fringed on the lower margin. 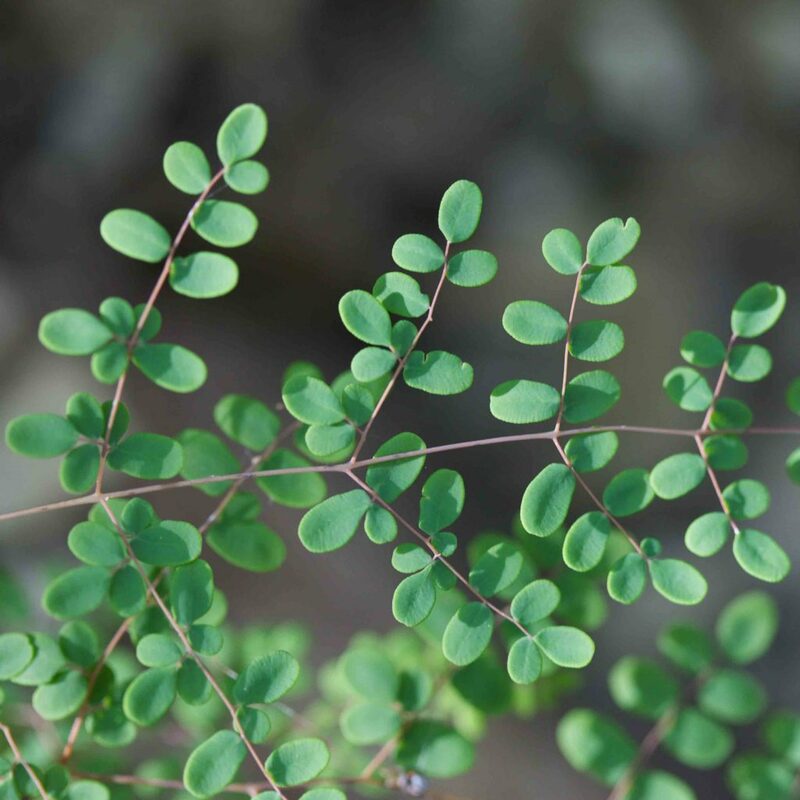 Despite the common name, there are often more than five “fingers”. 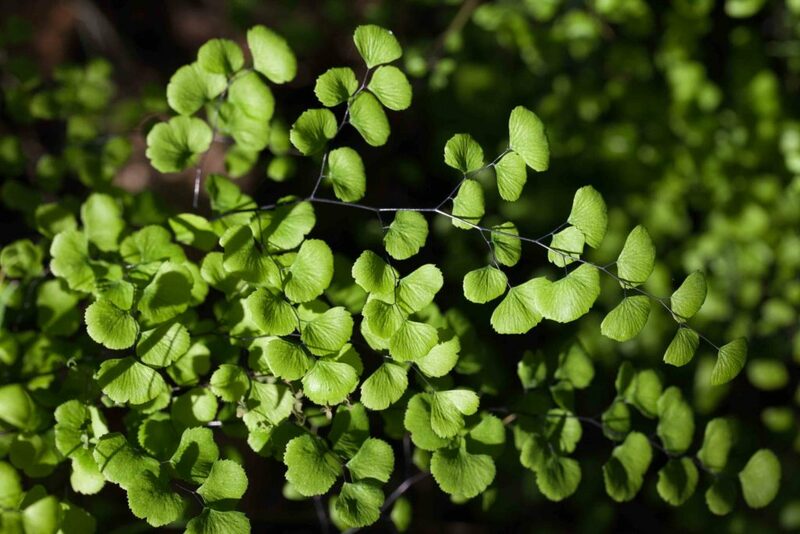 This is similar to the much more common California Maidenhair (Adiantum jordanii) but it is not summer-deciduous and has larger, distinctly lobed and more deeply-cut pinnules. The base of the pinnule makes an angle of 45–90°. 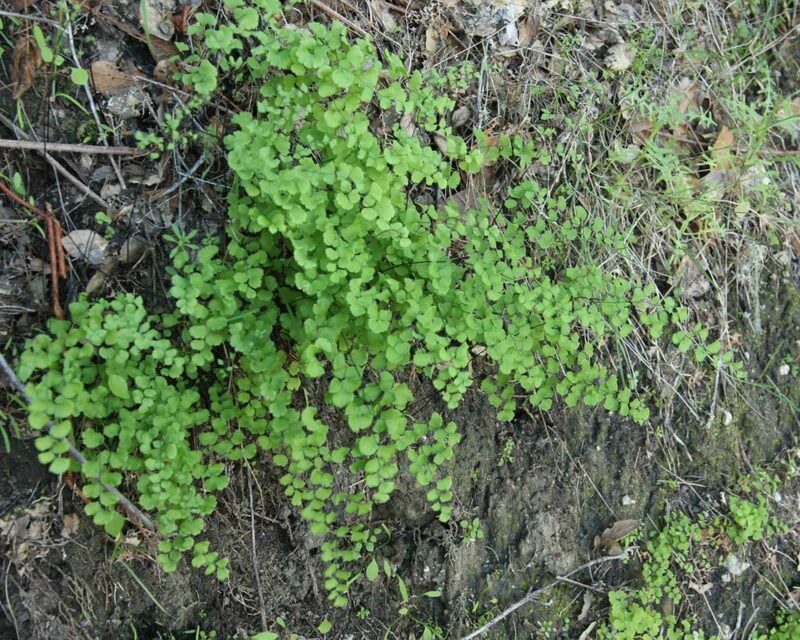 Uncommon, found on limestone seeps on rocky walls. 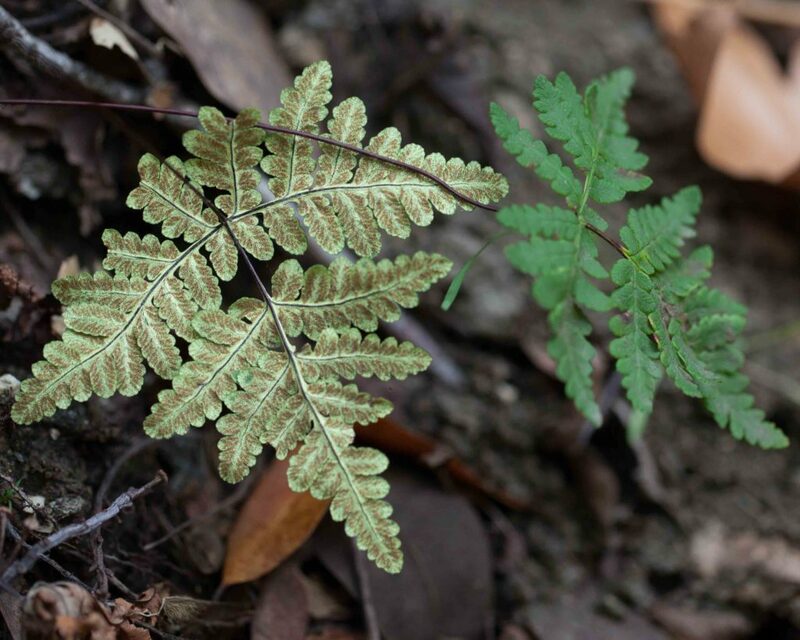 This is one of the most common — and most beautiful — of the ferns, appearing shortly after the first rains of winter and dying back during the summer drought. 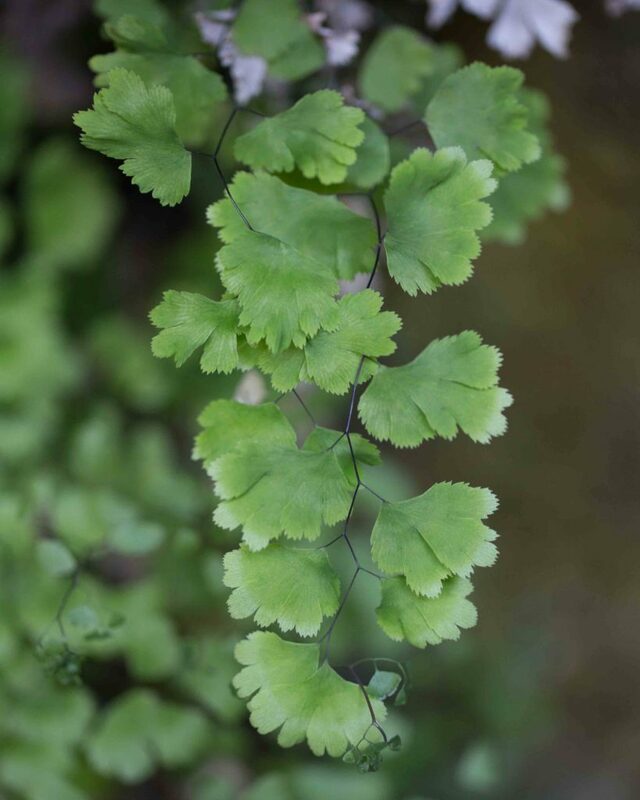 It has fine black stems and delicate, fan-shaped pinnules which are slightly lobed and/or cut but less so than in the much less common Venus-hair Fern (Adiantum capillus-veneris). The base of the pinnule makes an angle of 90–240°. The sori are borne along the veins and covered by part of the rolled-over margins of the pinnules. 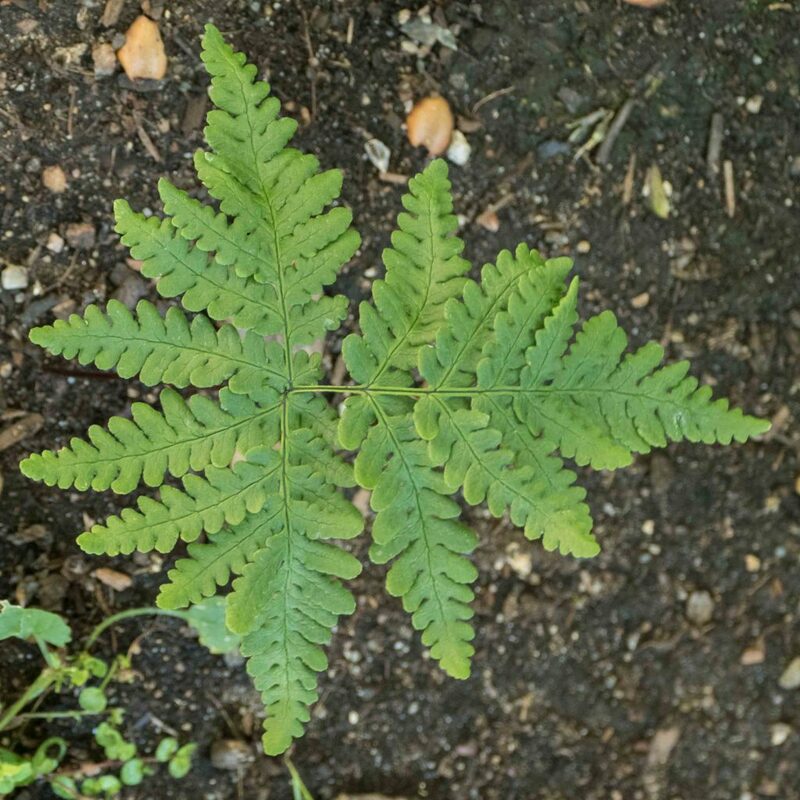 This fern has a low spreading growth habit with elongate to triangular fronds and very small round to oval pinnules which are noticeably tougher than on most ferns, giving the plant a somewhat shrub-like appearance. 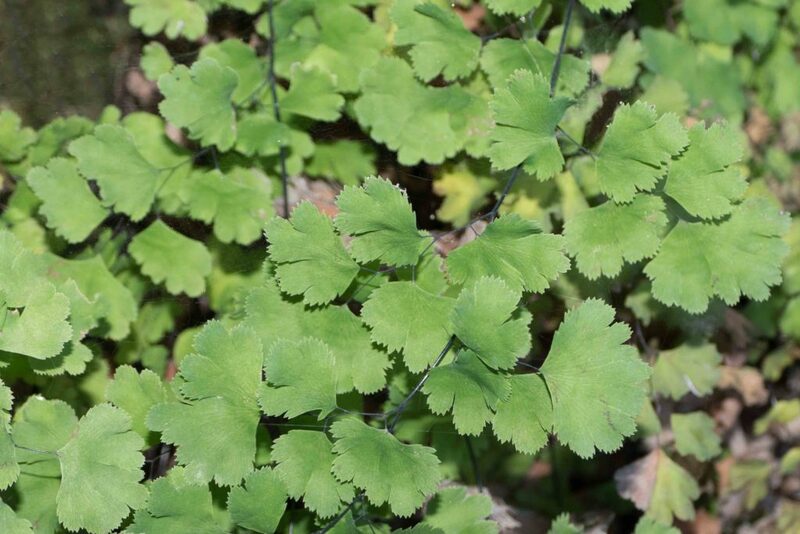 The pinnules are pale green when young and blue-green when mature. 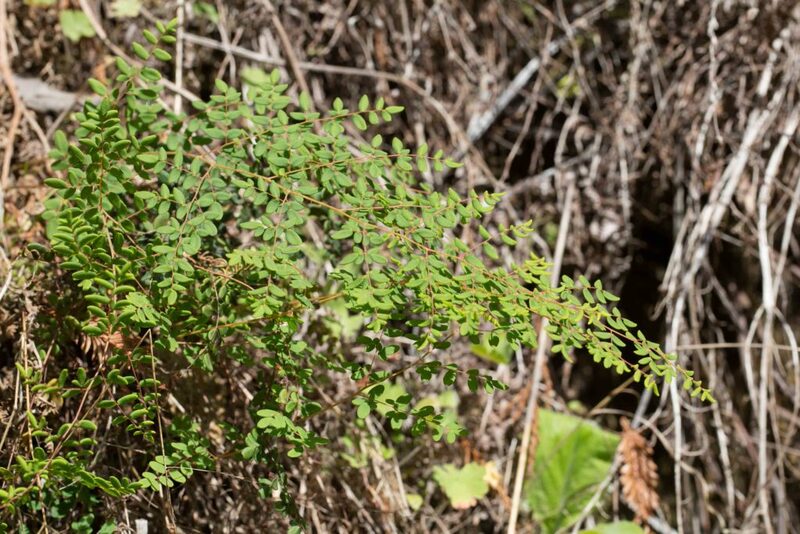 Sometimes the margins of the pinnules are rolled under so that the fern resembles Bird’s-foot Fern (Pellaea mucronata) but the pinnules lack the pointed tip found on Bird’s-foot Fern, so confusion is easily avoided. 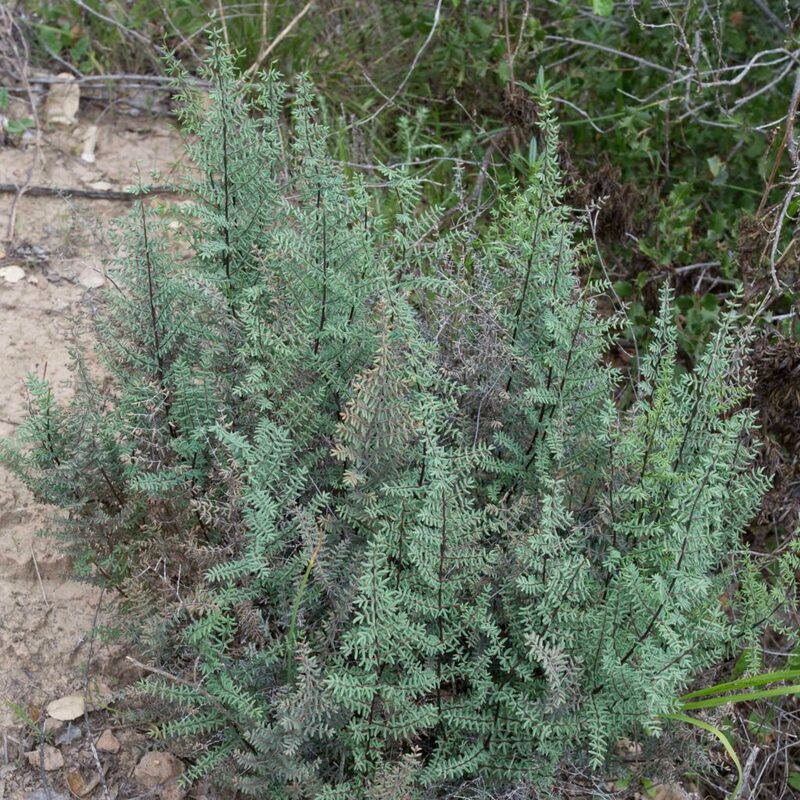 Common in rocky or dry areas. 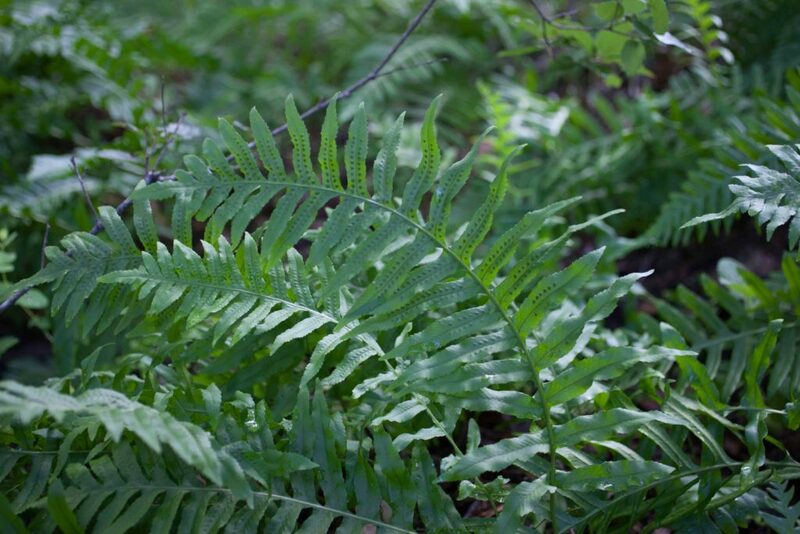 This fern is similar to Coffee Fern (Pellaea andromedifolia) but sometimes has a more erect growth habit. 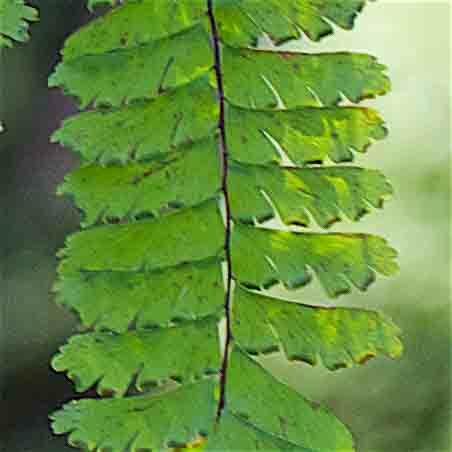 Its fronds are similar in shape but the pinnules are narrower, linear to oblong, and with a “mucro” (a short, sharp point) at the tip. 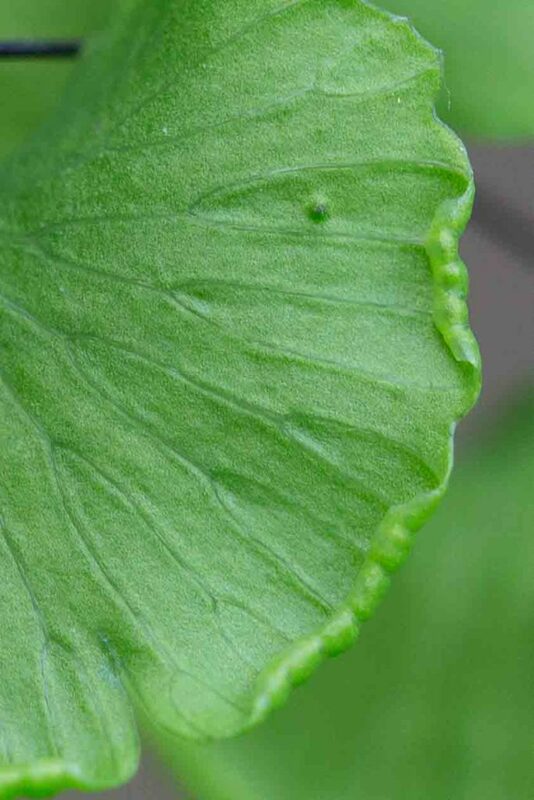 The shape of the leaf and the pointed tip allow the two species to be distinguished with certainty. 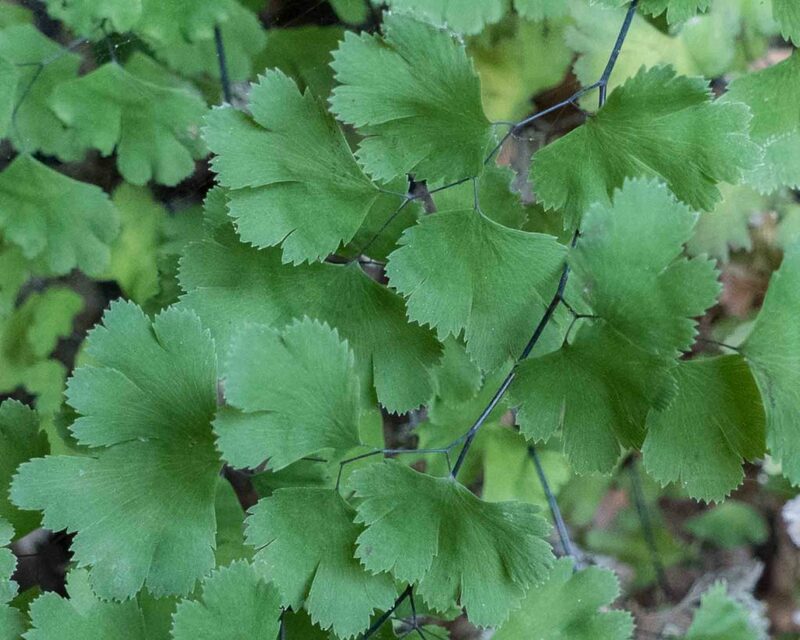 This is much less common and found in rocky or dry areas. 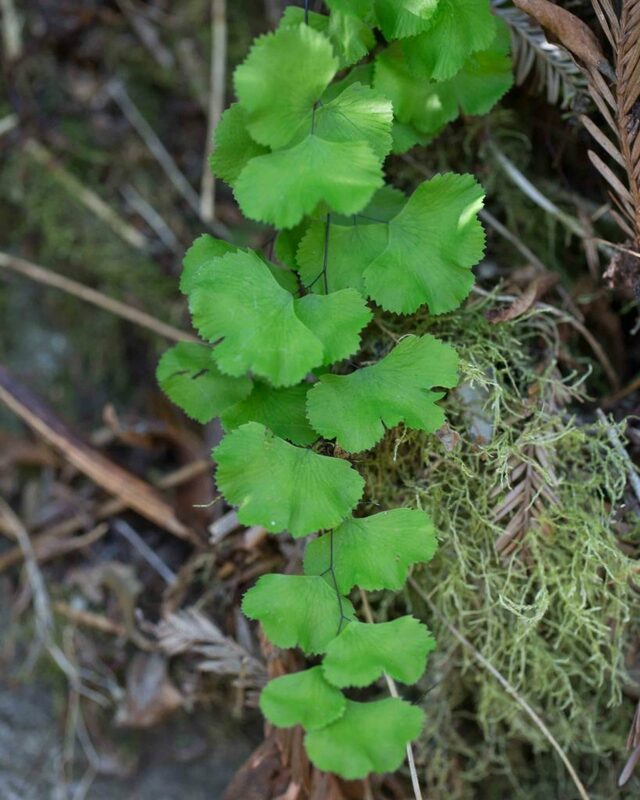 This is a small, common fern with broad triangular fronds, black stems and a distinctive pair of backward-pointing pinnae at the base of the frond. 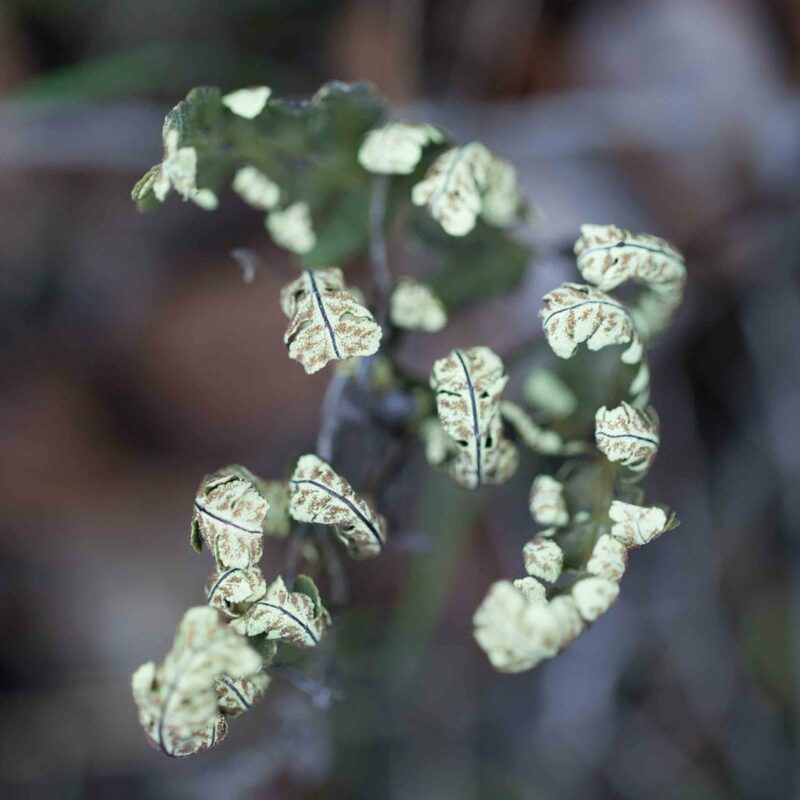 The underside of the leaves is greenish-gold or silver and covered in a waxy powder (not to be confused with the sporangia). 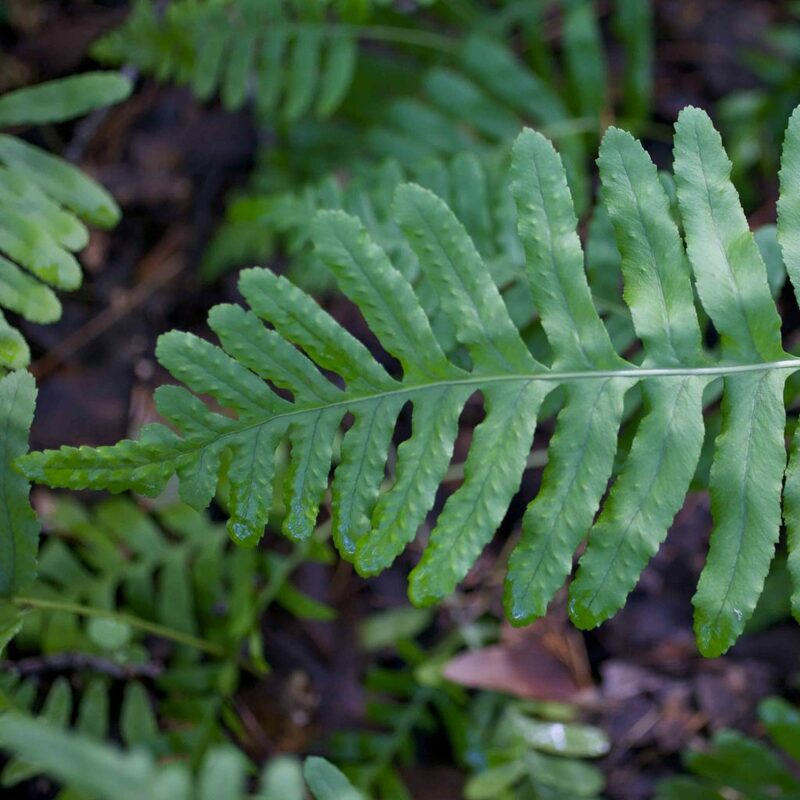 If pressed against skin or clothing, this powder leaves a clear impression — hence the plant’s alternative common name of “tattoo fern”.